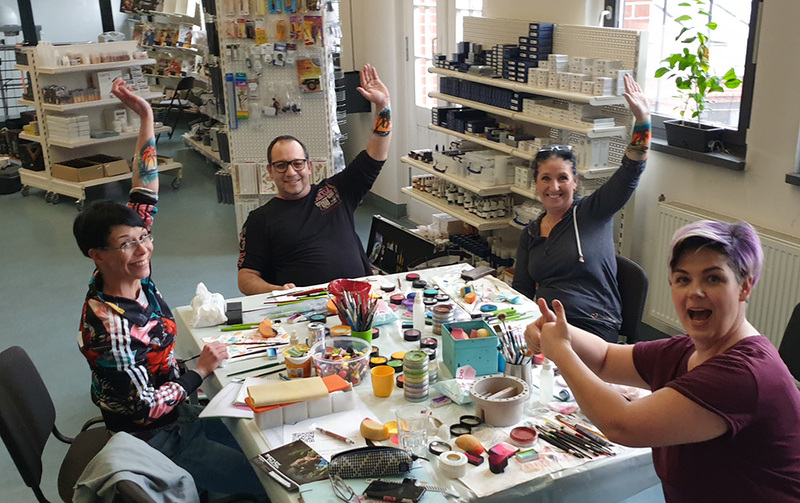 Today advanced face painters had the opportunity to get a finetuning of their technique from Silke Kirchhoff at SenjoLoft Berlin. What motives are in demand? Which colours and techniques are particularly suitable for which motifs? 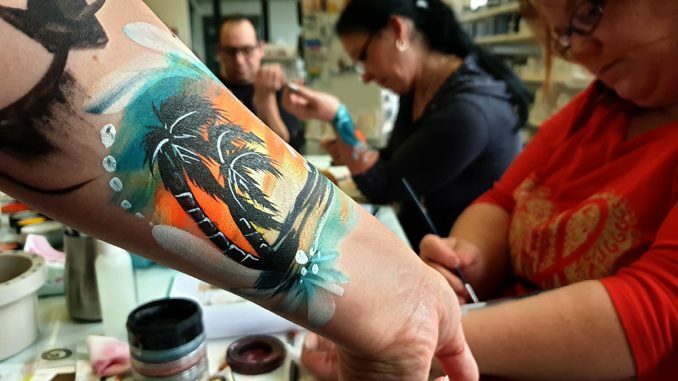 Silke is one of the few artists who live exclusively from body painting. In her countless jobs she has been able to perfect her techniques for many years and has already won many a prize. 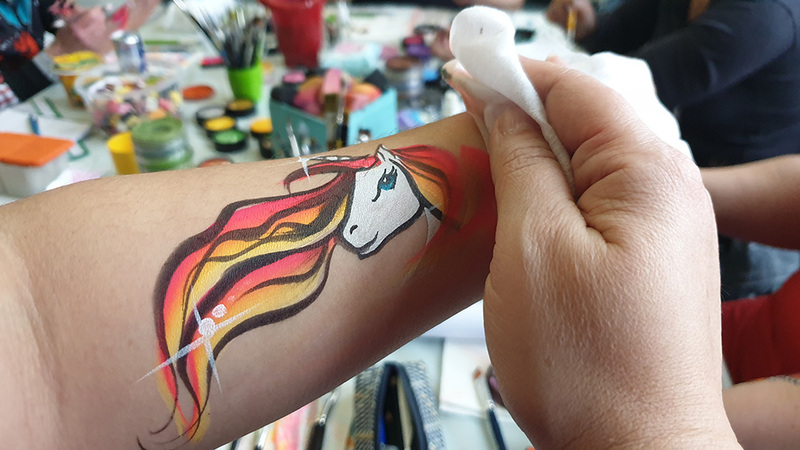 Here you can not only take a look behind the scenes, but you can also learn this knowledge directly in a small group in the Facepainting Intensive Workshop. 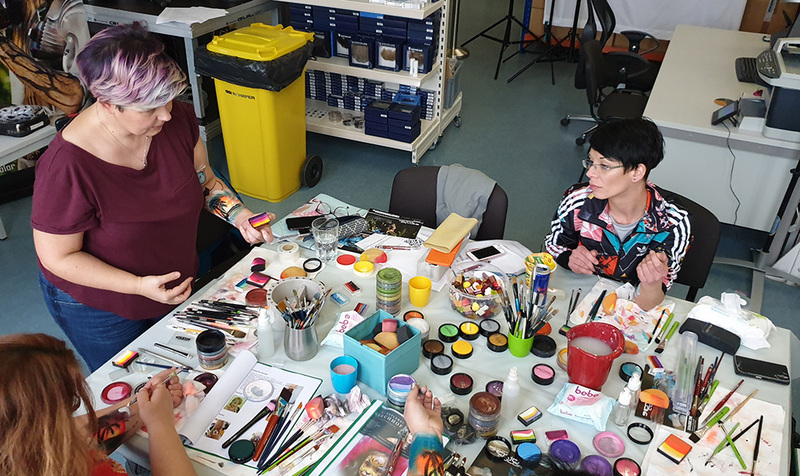 At SenjoColor in Berlin, participants have the opportunity to try out all the materials themselves and take them directly with them. Over 3,000 products from the world of body painters can be found here in the warehouse. Already tomorrow there will be the next course: Bodypainting with brush and sponge.